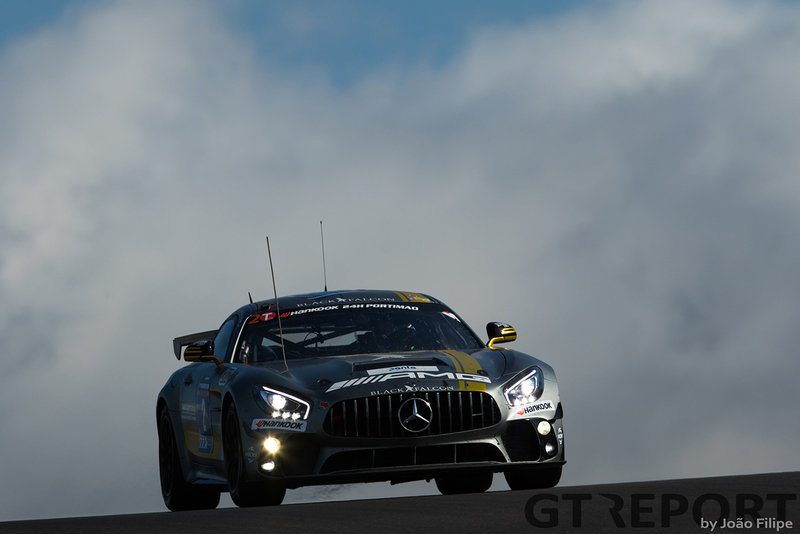 Mercedes-AMG recently launched its new GT4 challenger into competition at the Nürburgring. 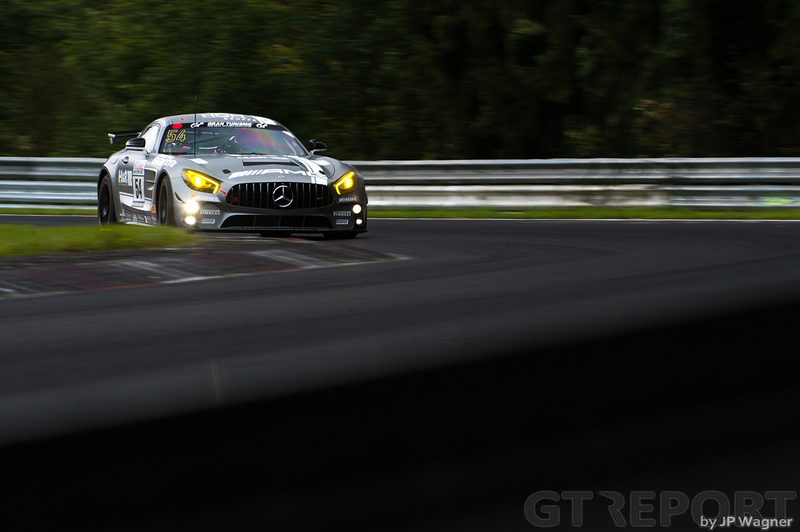 In the 6-hour long VLN Rowe 6 Stunden ADAC Ruhr-Pokal-Rennen the brand-new Mercedes-AMG GT4 was given its baptism of fire by Black Falcon and Uwe Alzen Motorsport. 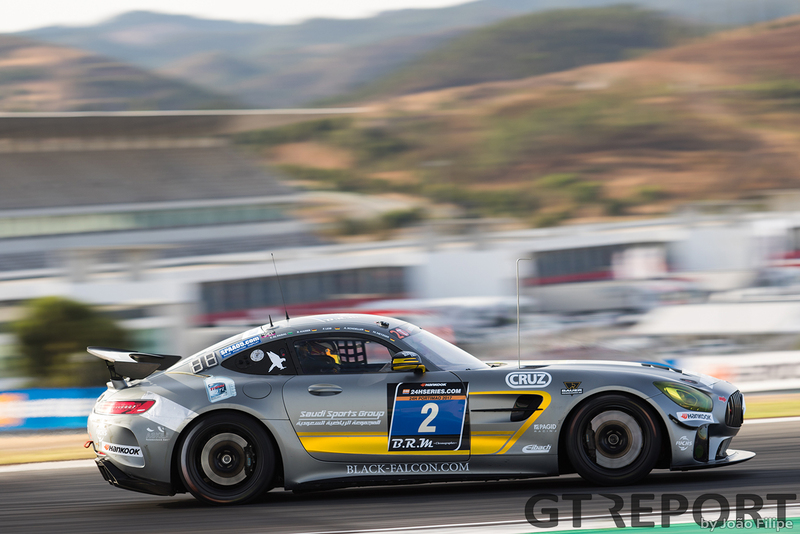 Days later Black Falcon traveled down south to the Algarve for the 24-hour race at Portimão. 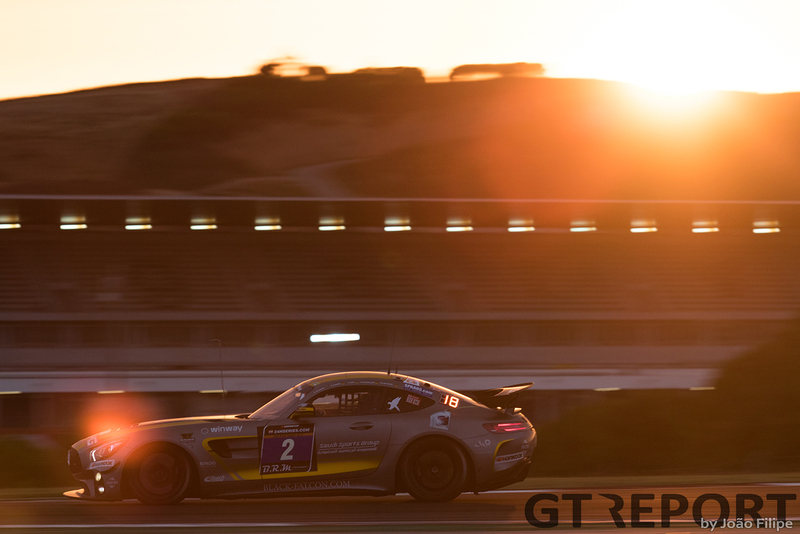 No longer a spectator, Manuel Metzger took the wheel of the Mercedes-AMG GT4 at Portimão. 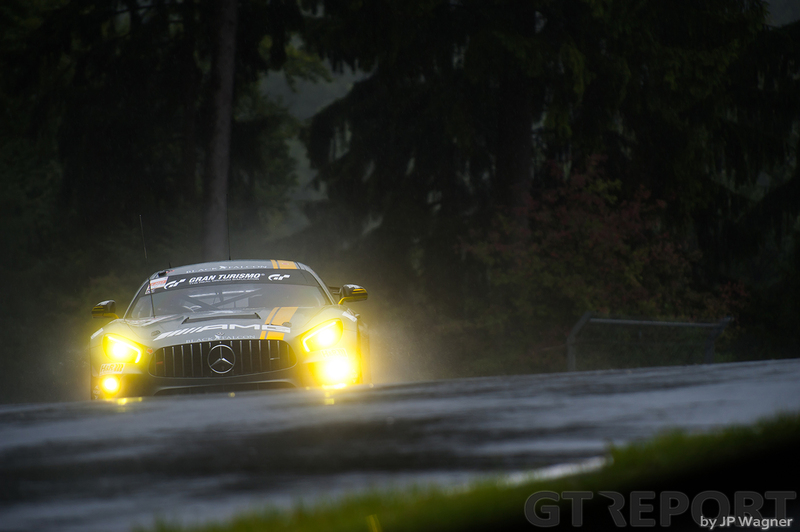 For the German it was his first outing with the car in racing conditions. 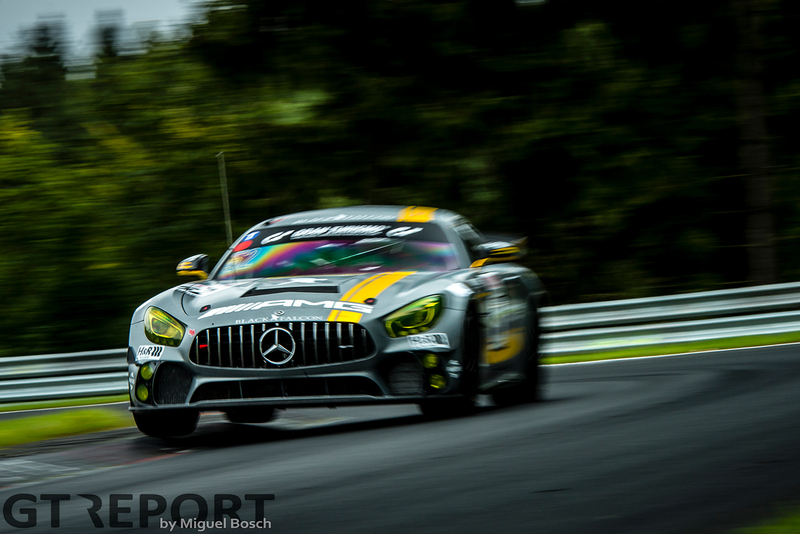 “I was part of the development program,” says Metzger, who was one of the Mercedes-AMG affiliated drivers brought in for the later stages of the testing program. “Not as much as Jan Seyffarth and Thomas Jäger, but I did a test in Navarra and was part of the 30-hour test at the Lausitzring. “My input was not as big, as the main development was done by Jan and Thomas. It really was about getting some different opinions from different drivers, especially at the Lausitzring and Navarra, for the engineers to see if this matches the thoughts of Jan and Thomas. 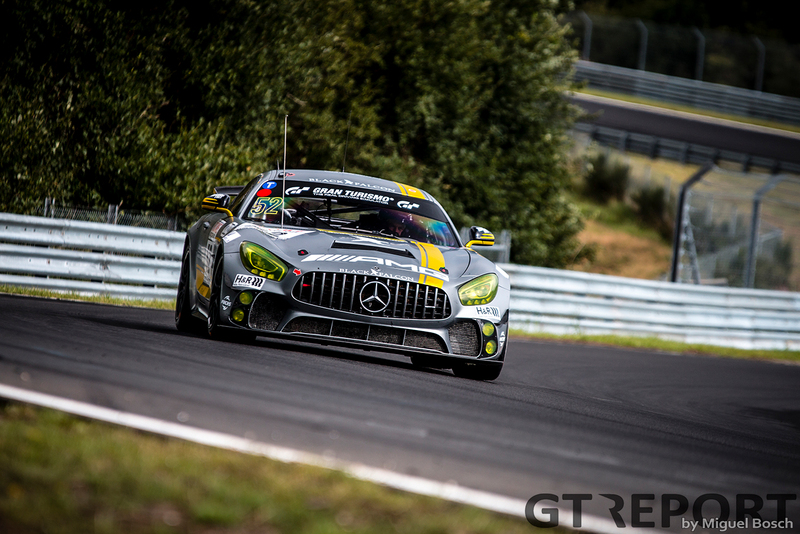 With the testing experience and years racing with Black Falcon including a 24 Hours of the Nürburgring victory under his belt, it only seemed natural for Metzger to jump in for the Mercedes-AMG GT4’s test races. 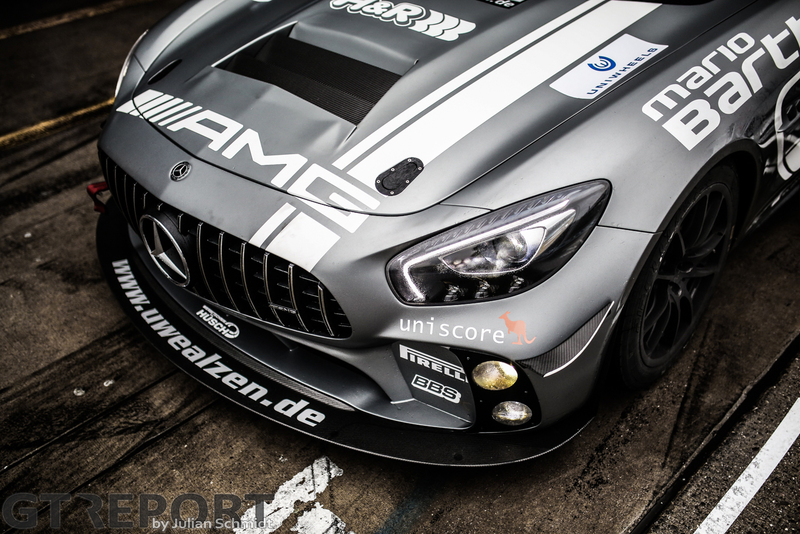 “I’m an AMG driver for the Nordschleife and have raced for a long time now with Black Falcon. The team owner wanted me to be a part of the test program as a Pro driver for the Black Falcon team as all the drivers already know me. It just suits perfectly. 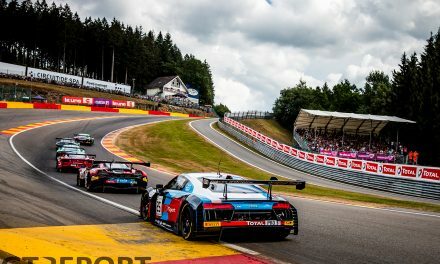 “The goal was to do the first official 24-hour race with the car and make it to the finish, gather as much data as possible, and get the opinion from the amateur drivers. 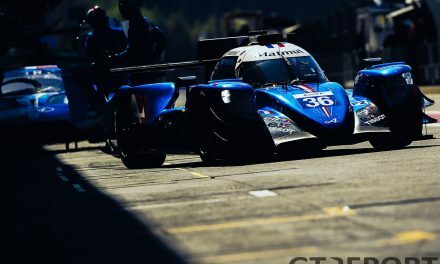 “As a Pro driver I was scheduled to not drive a lot during the race because we wanted the amateur drivers to take up most of the seat time to see how they get along with the car, how they feel, what input they can give for the development program. 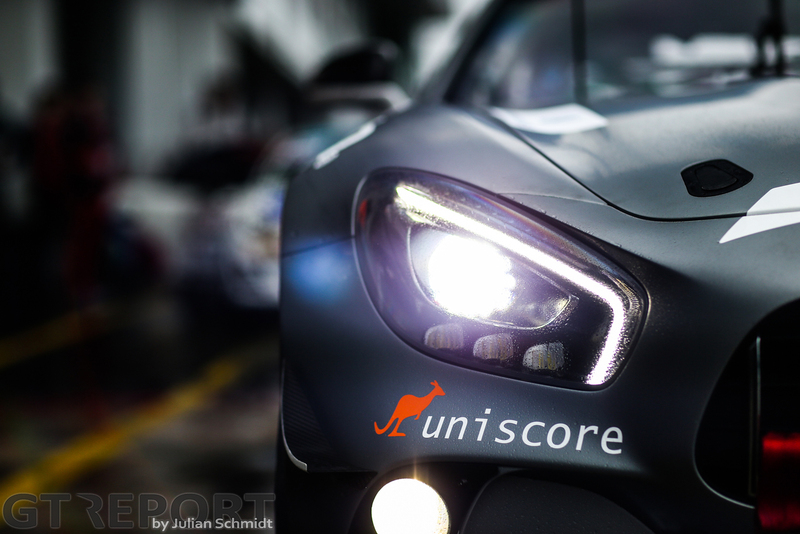 “It’s a test to give the car a perfect finish. “We made some changes to the car for the interior temperature. These changes were very helpful, making the car nicely ventilated. Despite the very warm temperatures we had at the start of the race and at the finish, it was very cool inside. The drivers felt very relaxed and comfortable—over a stint this makes it easy to drive. 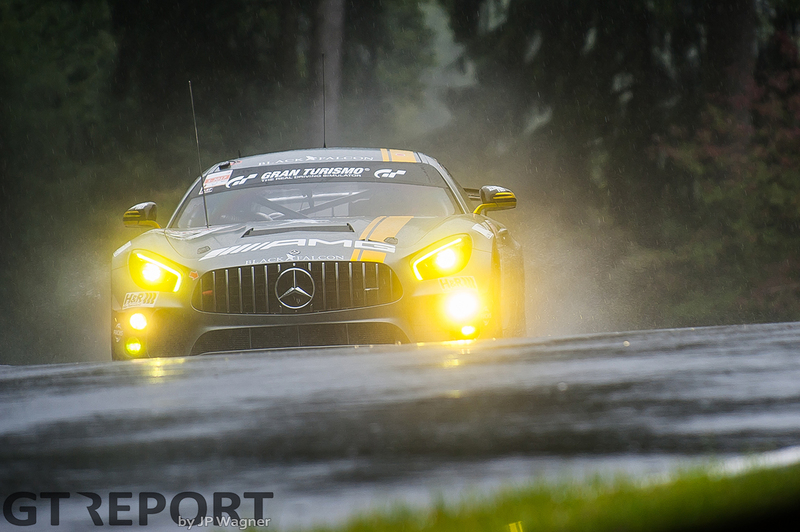 “We also learned that we still have to find some performance in our braking. It is very good, but still not as we want it to be. 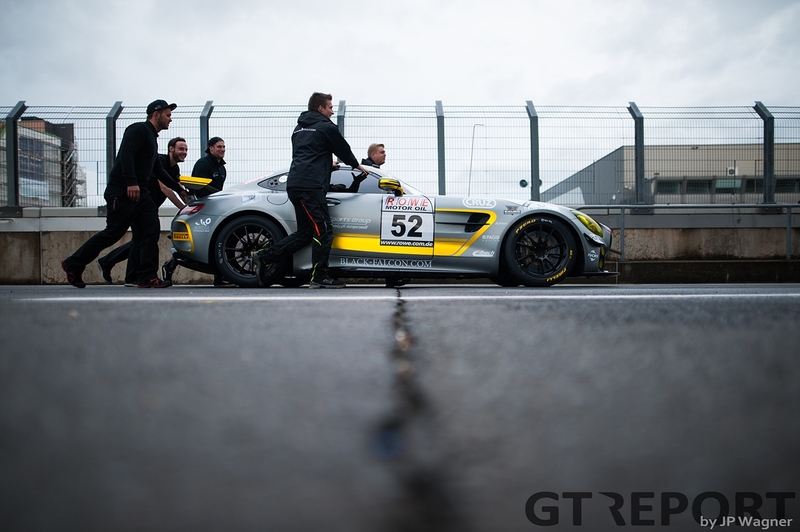 That’s also a bit related to the car’s weight: in GT4 the power-to-weight ratio is regulated and because we run with a bit more power than the other GT4s, we also have to run some more weight. 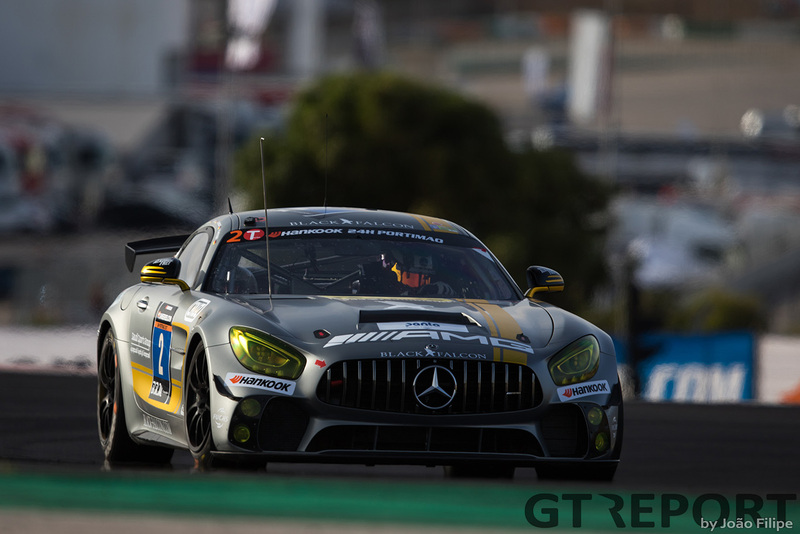 Designed for a class that is aimed at amateur and up-and-coming pro racers, one characteristic of the Mercedes-AMG GT4 seems to be spot-on: its drivability. “It’s easy to drive, as we also saw with our amateur drivers. They go in, need some laps to adapt—maybe half an hour to a stint—but from there on they feel confident and happy. 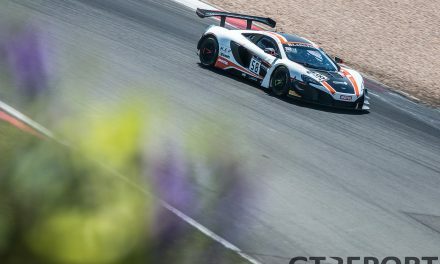 “After a full stint of driving, the laptimes went down and they felt good in the car, they weren’t stressed after they got out. There were some smiling faces, saying the car is nice and a lot of fun to drive. 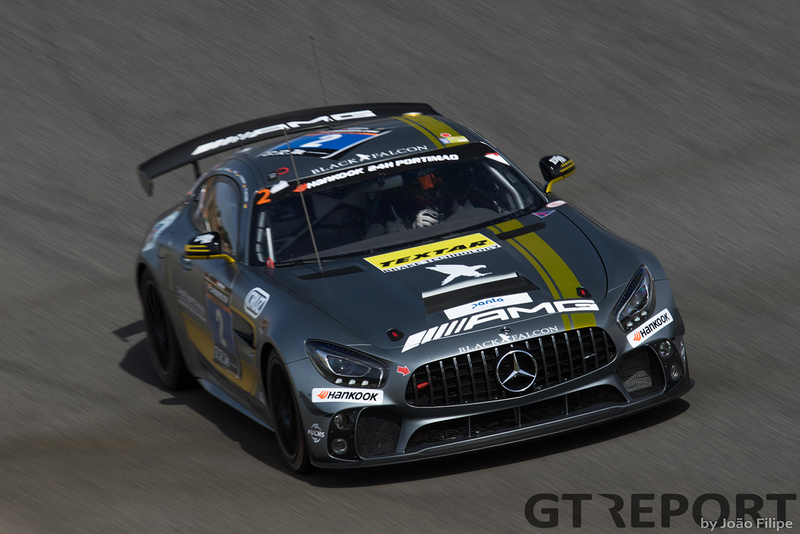 “I think AMG did a really good job by building and engineering this car. 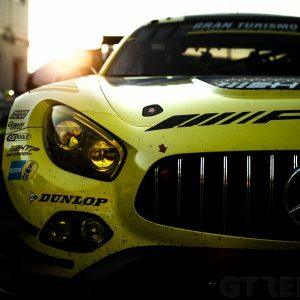 As the GT3 is also known as being one of the easiest cars to drive in the GT3 class, the AMG GT4 will be one of the easiest cars to drive in the GT4 class as well. “I can only compare it to the Porsche Cayman GT4, which I’ve driven with Black Falcon. 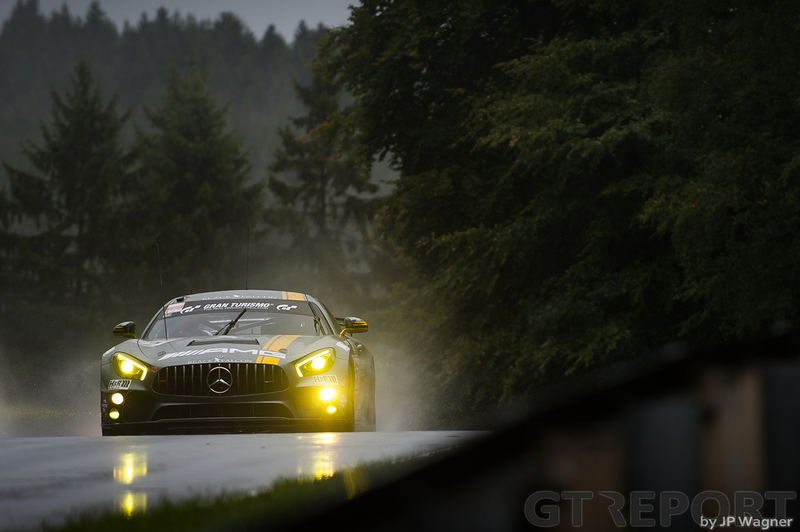 [The Mercedes-AMG GT4] is a whole different level of car, it’s much more engineered. It’s all-around quicker and gives you more confidence. “There are no specific things that make it better than others, I think it’s the whole package that makes it really good. So, then, how does this new GT4 relate to its bigger GT3 brother? “You feel the weight, you feel that it’s heavier, and also that you have less aero. If you’re used to driving a GT3, that’s quite a difference. “The braking is very similar, though. Also, inside: the cockpit, dashboard, seat, the whole interior, it’s the same. From the inside, you think you’re in the GT3. “But then the driving is obviously a bit different because of the weight and aerodynamics—those are the biggest differences. 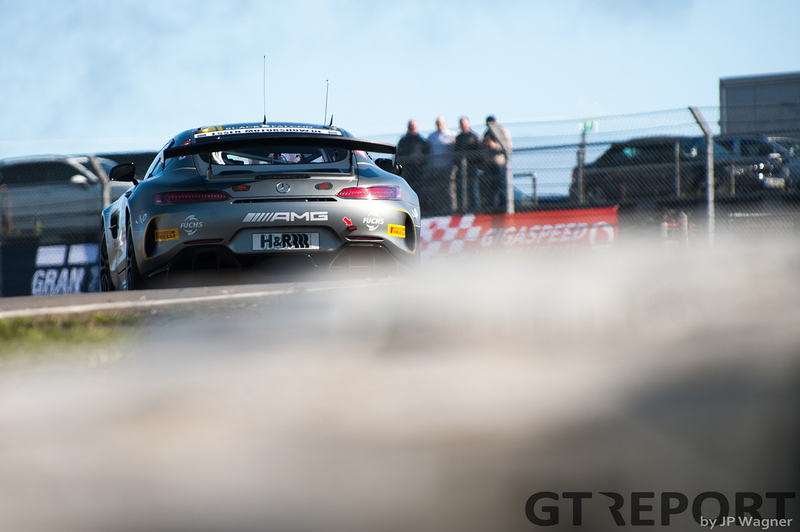 Unlike the GT3, the GT4 does sport the Mercedes-AMG GT-standard 4-litre twin-turbo V8 engine, pulling the AMG GT4 more in-line with its road-going siblings. 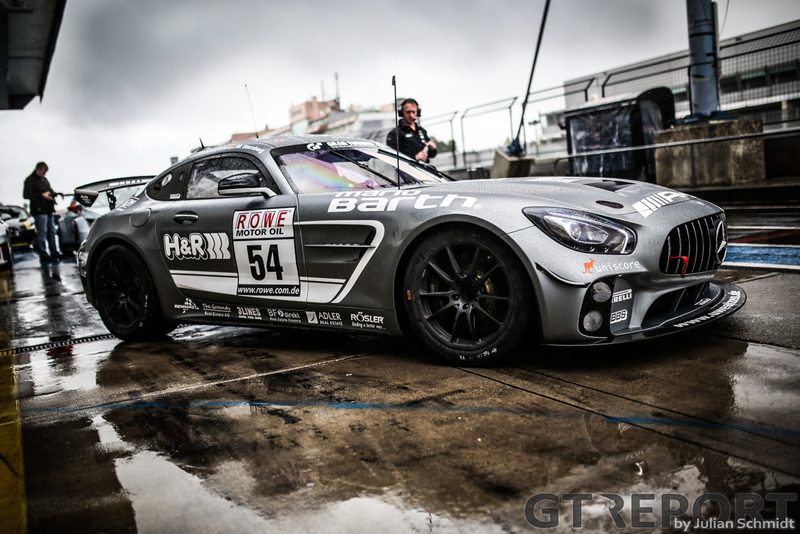 After Uwe Alzen Automotive brought its Mercedes-AMG GT4 to the finish at the first outing at the Nordschleife, in Portimão it was Black Falcon’s turn to see the finish flag for the first time. Although still racing out-of-class and without FIA homologation and Balance of Performance, Metzger is looking forward to finding out what the future will bring for the AMG’s newest challenger. 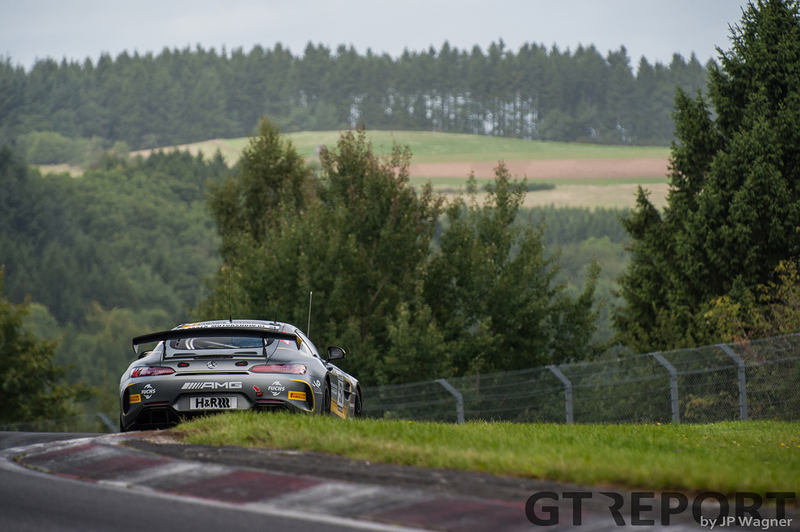 “We don’t yet have a real comparison to the other GT4 manufacturers. 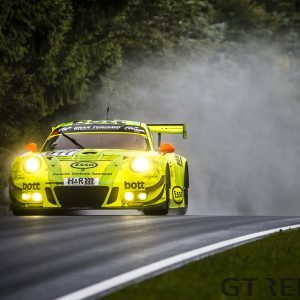 At the moment, the way it’s driving now, it’s one of the best GT4 cars. 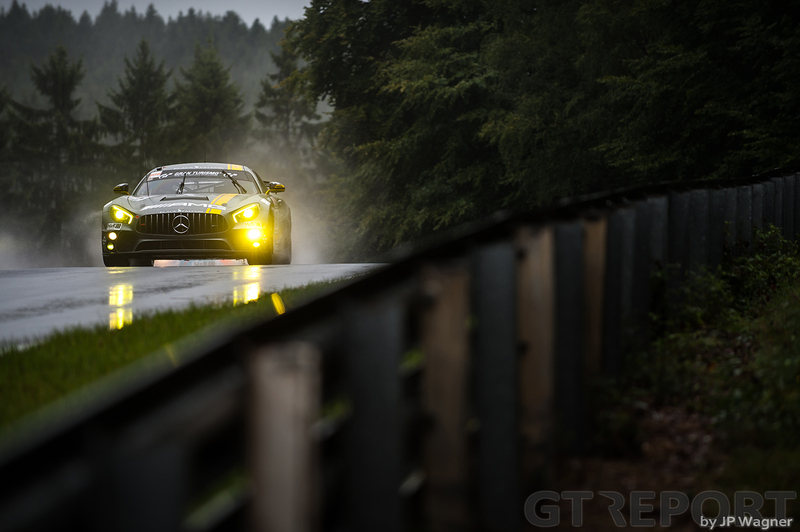 No rest for the AMG GT4: after racking up a good 30 hours of racing plus some more for practice and qualifying within 8 days time, it’s straight back onto the race track for this weekend’s VLN6. It’ll be Metzger’s first time on his home track with the Mercedes-AMG GT4. 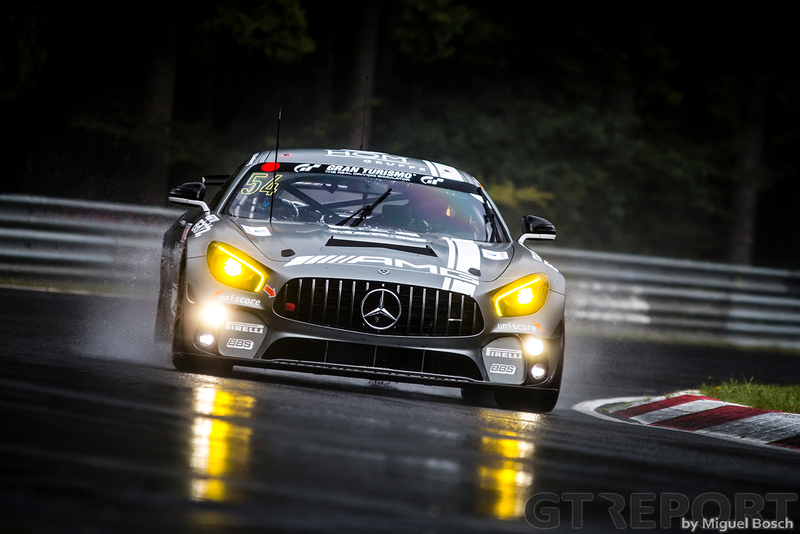 “I’ll do VLN6, driving for the first time on the Nordschleife in this car. What else is left on the schedule, I don’t know yet, this is still to be determined. 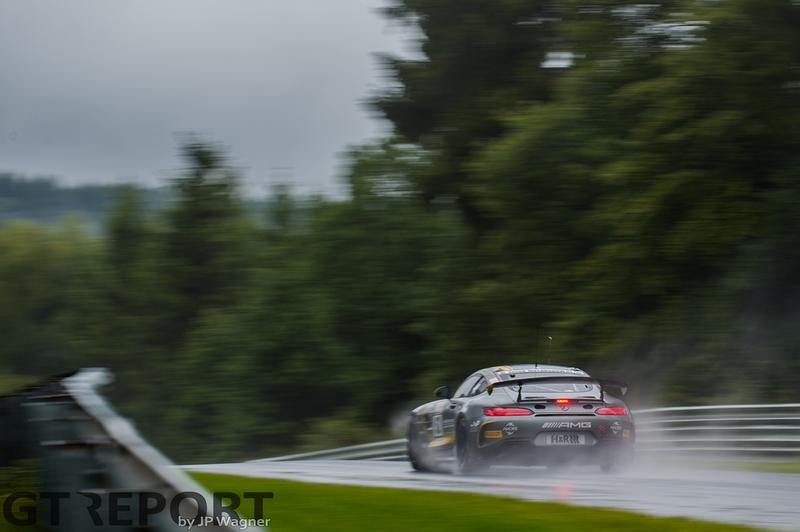 “I hope to get maybe one or two more races in the GT4. It’s a really fun car and crew to drive with. 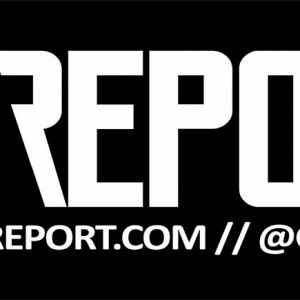 João Felipe contributed to this article.